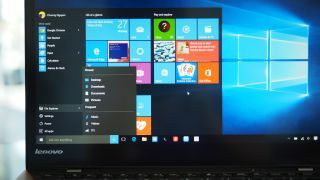 Windows 10 Build 10540 has leaked out in a series of images that suggest few changes beyond new icons for some of Microsoft's popular apps. First reported by Microsoft-News.com, the images of the new build fail to show any hugely significant improvements beyond the new icons detailed on one Twitter account that may not even arrive in this build. The new icons include the Calendar, Mail, Photos, and Calculator apps and don't add anything beyond a refreshed look for each of those programs. There is very little else to get excited about and most of the pictures provided by WZor simply show various screens from the new build that aren't any different to the Windows 10 build that came before it. This leak comes hot on the heels of details on Windows 10 Build 10537 being leaked from various unofficial sources. Build 10537 has reputedly added opening and closing animations to Store apps, brought newly revamped icons to the Device Manager part of the OS, and improved the background colour on context menus. Microsoft has been continuing to roll out new Windows 10 builds to its Insider Program members ever since the OS was released to the public at the end of July. Anyone signed up to the program gets to try the very latest features before anyone else and if nothing else if allows them bragging rights.